This cream is very rich in plant active principles. It refines the texture of eyelids, crow's feet, dark circles around eyes and fine lines around the mouth, soothes the skin and limits signs of fatigue. Its delicate perfume is without essential oil, so pregnant women can use it. 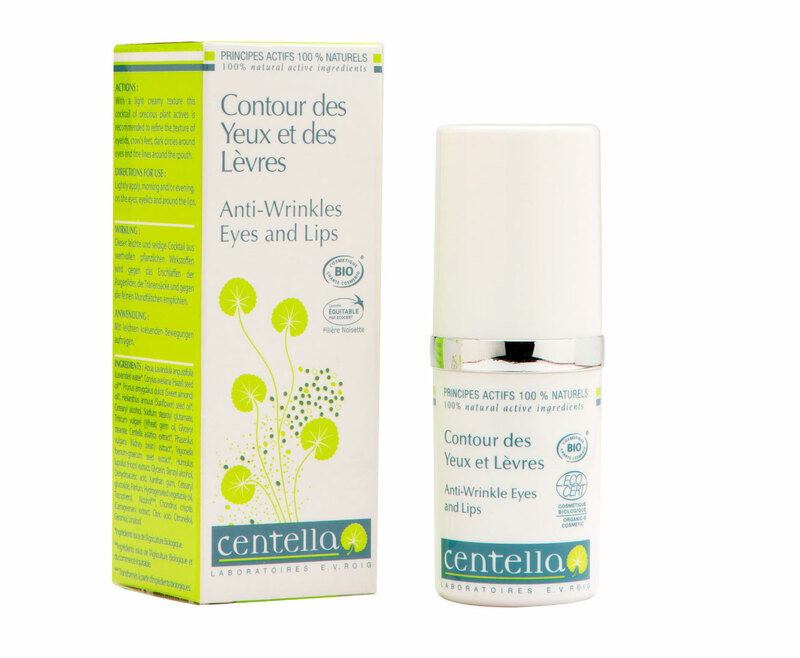 Centella Anti-Wrinkle Eyes and Lips is an exceptionally nourishing cream specifically designed for the delicate lip and eye area. It targets crow’s feet, puffy eyes and wrinkles around the lips. Aids in soothing inflamed skin.